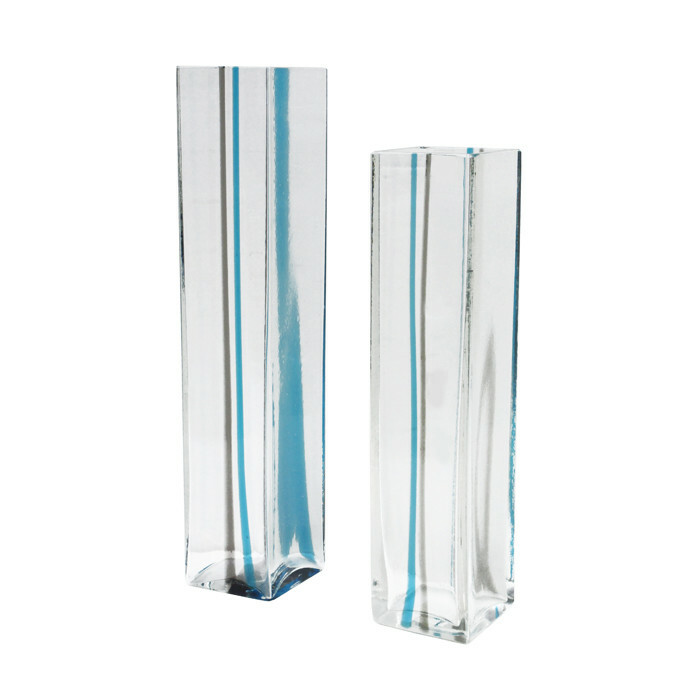 A pair of Italian Art Glass vases by Venini. Clear glass with fused ribbons of grey and sky blue. Etched on the borrom: Venini Italia , also with original makers label. Dimensions: 1) H:13¾ W:2¾ D:2¾ 2) H: 11¾ W:2¾ D:2¾ Inches.